Dance Gallery is fortunate to be a part of the lives of many beautiful dancers! Many are awarded with promotions after successful examination in the Cecchetti program. Some dancers are awarded in competition. Others are awarded with scholarships to highly regarded dance schools. Here from our students on what their experiences have been like at different summer intensives across the United States. After an audition in January, I was selected to spend four weeks in July of 2018 training with the Royal Winnipeg Ballet School in Winnipeg, Manitoba, Canada. I enjoyed the opportunity to work with dancers from around the world who were drawn together by their shared passion for dance. We had several hours of class each day in one of the many gorgeous studios in the Royal Winnipeg Ballet building. These classes ranged from ballet and pointe to modern and character. In addition to our dance classes, we attended lectures on nutrition, music history, and art. I developed an understanding of yet another style of classical ballet, furthering my skills and love of dance. I also had repertoire classes which taught me to quickly learn choreography as well as work with others to perfect the story we wish to tell through our movements. I had wonderful teachers who inspired and encouraged me. I learned so much about my own dancing as well as about dancing in general. It is one of my fondest memories associated with dance due to the amazing accomplishments made, all the exposure to new styles and techniques, and of course all the people I met. I thoroughly enjoyed my experience and would highly recommend this intensive to anyone who has a passion for classical ballet. Over the summer, I danced in Holland, Michigan for two weeks at the 2018 Cecchetti Summer Intensive. I got to meet many new teachers and dancers, who also have a passion for dance. Working with new teachers who taught in different styles and looked at things in a different perspective, has furthered my education in dance. I also had a lot of fun with the people around me because we all connected and bonded through everything. I made many new friends and memories that will stick with me forever. The intensive was a great experience! I encourage other dancers to take this great opportunity the next year. Going to the CCA Intensive in Holland, Michigan for two weeks was one of the best decisions I’ve ever made! My life has changed for the better of it. The teachers there taught me so much on where my strengths and weaknesses are, how to do some things correctly, as well as how to get stronger and how to better express my emotions through dance. There were times when it felt like I was too tired to move, but it was all worth it. It was so much fun and I am so excited to go back again! Even though I was there for only fourteen days, I feel like my dancing has definitely improved. All the teachers were so inspiring, I completely suggest that more students (especially more boys) go next year. It was so beautiful to watch all of us, as individuals, getting better each day we were there. And I applaud every person who takes the chance to go to this. One of the teachers there, Paul Sutherland, gave us a quote that really stuck with me: “Don’t be unconscious, don’t be self-conscious, be unselfconscious”. There were most definitely people doing better than me at seemingly everything, but those words he said brought my confidence level back up. Michael Fothergill, the person who started the Enhanced Men’s Training Program, had said that “masculinity is not about strength, it is about confidence”, which also inspired me. Confidence is so important in dance, I’d say that it’s almost the number one thing that you need in order to dance! It takes an immeasurable amount of confidence to walk out on stage, or even just out onto the floor for a class combination. We need to find the confidence to move as dancers, because everyone can move, but it’s confidence that makes us different from normal people (we are not normal people). I can proudly say that all the teachers have made a huge impact on my life, and I will remember them and their corrections forever! 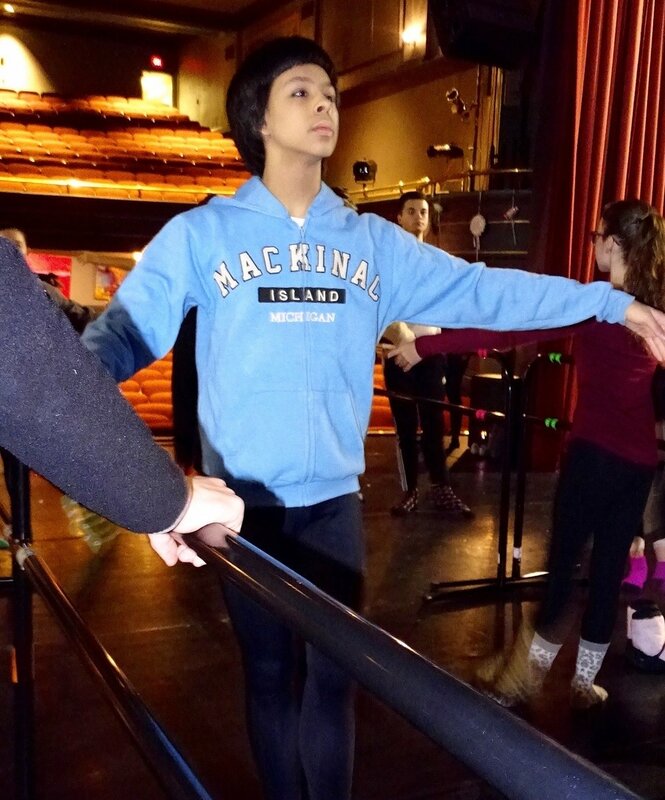 This summer I went to Holland, Michigan for a two week Cecchetti Intensive. There were many things I enjoyed, including building the relationships I had with my friends, expanding my love for ballet, trying new forms of dance, and getting to dance in 90 degree weather without air conditioning... that was pretty fun! I also learned a lot while I was in Michigan. I learned to not compete with others, but to compete with yourself. I learned to not be jealous of what you don’t have, but to try harder to get it. And of course I learned a lot about dance!! I loved each and every experience I had at Michigan and I would do it all over again! This summer I went to the 2018 Cecchetti Summer School Intensive in Michigan. It was one of the most incredible experiences in my life! It was very hard at first, but eventually things began to fall into place and I ended up really enjoying it! After the intensive I had more connection to dance itself. I learned from different perspectives of each teacher to help myself improve on dancing. I was also able to reach out and dance out of my own comfort zone to express myself. There were styles that I wasn’t really comfortable with, but towards the end I actually ended up loving it and wishing that I had done it sooner. Going to Michigan had really expanded my thought and knowledge about dance. Over the two weeks I also made bonds with new people and made even stronger bonds with the people who went with me. Responsibilities were also a big thing I learned about at Michigan because you’re really on your own and you need to learn how to look after yourself. Overall, I really loved being at Michigan and I would totally love going again next year! This summer I was able to attend the University of Central Oklahoma dance intensive. This provided me an opportunity to work with a variety of dance instructors. We worked on ballet, jazz, modern, and contemporary. I even got to do aerial dance. It was very rewarding to be able to work with mike Esperanza who is a choreographer from New York City. I learned a lot about myself as a dancer and I also learned how wonderful the instruction I have been given at Dance Gallery is. I would encourage anyone to step outside their comfort zone to experience dance in another setting. I remember Ms. Jackie wanted me to explore the world of ballet beyond Dance Gallery. For the past year or two, I was very interested in excelling and being better at ballet. 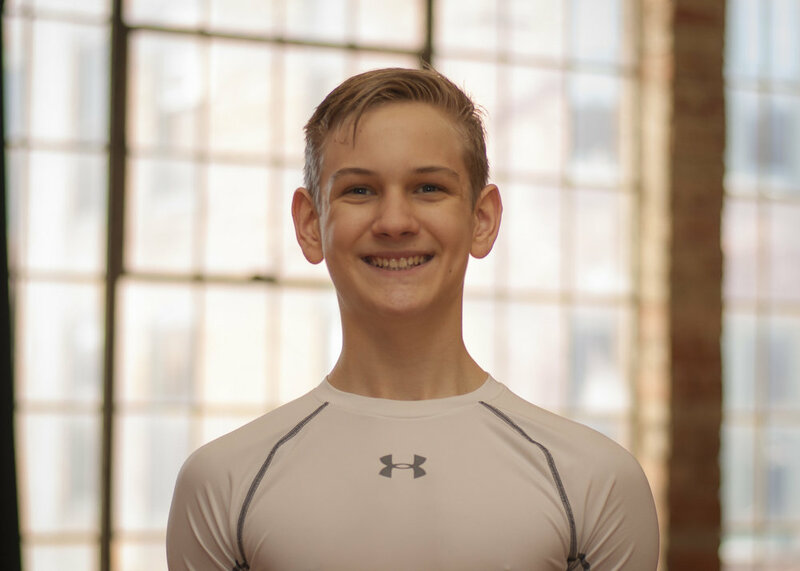 At Dance Gallery there are not any male teachers and the Cecchetti Council of America Summer School Program in Holland, Michigan was starting a new men's program, directed by Michael Fothergill. This summer was probably the *thing* that pushed me to be better. What I got out of my experience. This first summer really helped me on presentation during dancing and focus during class. The best thing I got out of this summer, besides the 8 hours a day of men's training, was probably the want to always be dancing. In Michigan there was this *vibe* that the only thing there was, was dance and food. No school, no distractions, not a lot of contact with the outside world. It made you want to dance and it makes you want to practice everywhere, all the time. Even if you are doing it wrong, you will be practicing dancing when your uncomfortable, or you practice your presence, because someone is always watching you. Another benefit from just going out there for my first summer is it makes me want to do it again or go to different intensives. When you go to other intensives, most of them are attached to a year round school or program and then those are attached to professional dance companies. I have really benefited from going to the Cecchetti Council of American Summer School Program in how it has allowed me to expand on my training, making new friends and new life experiences. I am looking forward to what Summer 2018 has in store. My experience at the American Dance Festival was very encouraging once again. The instructors I had last summer noticed my improvement over the year within the first two days of classes, and that gave me the confidence I needed to do well in the audition process that happens during the first 4 days of the festival. This year, I made it into a repertory of the modern dance technique Cunningham that I had little background on, and It was an eye-opening experience to something I have never had before. Also, getting to go see performances of major dance companies twice a week is also very eye-opening, because in Sioux Falls, the modern dance scene isn’t big at all. Sometimes it takes getting away from home to experience how diverse the dance world really is, and that’s when your passion for it grows. I went to Interlochen Center for the Arts, in Interlochen, Michigan for six weeks. I had an amazing experience. In the short time I was there, I performed 4 times, three times on a stage and one on a roof. As a dancer, I have grown and excelled, but I have gained strength as a person as well. Going away from home isn’t always easy, but Interlochen was a very comforting and welcoming place to be. The location was gorgeous and full of nature. Overall, the intensive was an amazing choice for me, and I have learned and improved a ton. This summer I was able to attend the Kansas City Ballet Summer Intensive for five weeks. Each day there was a Pilates or yoga class, a two hour technique class, a pointe class, a variations class, a non-ballet class, and a dance related seminar. This intense schedule definitely made my feel physically and technically stronger in my dancing. Being taught by former company members of not only Kansas City Ballet, but also of companies like American Ballet Theater was a truly amazing experience. All of the teachers really motivated the students to work harder than ever before. Being surrounded by fantastic teachers and dancers really opened my eyes about different ways to approach my dancing. Overall this was a really incredible experience! This summer I attended the Joffrey Ballet School’s ballet and jazz/contemporary intensives in New York City. I had the opportunity to take classes with many wonderful teachers and grow as a dancer for seven weeks. I took classes Monday through Friday for about 6-7 hours a day and at the end of the ballet intensive we got to perform on a Broadway stage, a few of the dances we had worked on throughout the summer. We had classes in ballet, pointe, pas de deux, variations, character/theatre, jazz, contemporary hip-hop, modern, and Pilates. It was also really fun and exciting to get a taste of life in NYC! On the weekends (when we weren’t in rehearsal!) we got to go to many ballets and Broadway shows, as well as sightseeing, and of course, shopping! Overall, I had a great experience this summer that I’m sure I will never forget! I had an amazing time while I was at the Los Angeles Ballet Summer Intensive. It was a lot harder than I expected. Our teachers rotated every day so we got many different techniques and styles. The main style we learned was Balanchine and we also did contemporary and yoga. We would dance Monday through Friday from about 10 am – 5 pm and on the weekends we would go places such as Disneyland, the Wax Museum, Hollywood, and every Sunday was beach day. During my stay there I had a great time. I met many talented dancers from all around the world, which they made me work harder. This camp was one of the best summers I’ve ever had. This summer, I did intensives from Hubbard Street Dance Chicago and Complexions Contemporary Ballet. First was four weeks with Hubbard in Iowa City. We had ballet, modern, and Hubbard repertoire daily with Pilates (and Hip Hop) added in on some days. We mainly took classes with former company members, Ben and Laura, and some teachers from University of Iowa’s dance department. Some second company members also taught rep later in the intensive. After I came home from Hubbard, I had two days home before leaving for New York with my mom. We spent a week together taking campus tours and getting me used to the city because I would be living by myself in Manhattan for three weeks. Complexions did not provide housing so I stayed at the convent, Centro Maria, and it was really like I was on my own, which was a cool experience. I got into Division One of the program, but I was switched to Division Two with a bunch of at least 18 year olds. Division Two only had a ballet class and rep from 3:15 to 7:15, but it allowed me to take open classes at Ailey and Steps on Broadway, giving me kind of a third intensive. Since I went to two contemporary intensives, I got some similar corrections, but I also heard several different corrections as well. The atmospheres were completely different and for that, I am glad that I got to do both. I enjoyed working with people my age, all striving for the same goals, and I enjoyed working with people older than myself, some in college and others with a career in dance already. I am so grateful to my parents and to Dance Gallery for helping me get to the place where I am today. I will always continue growing in dance and exposing myself to new experiences because of them. 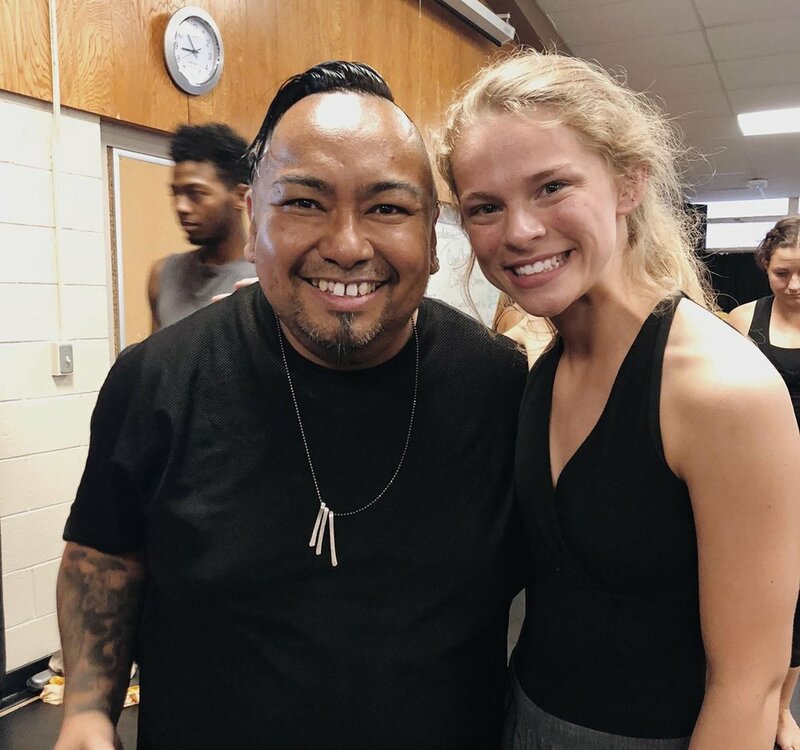 *** to read Madeline’s article on her application experiences and tips on auditioning for Summer Intensives for yourself – click here!